Welcome back! I told you it was going to be a busy week and I wasn't kidding! 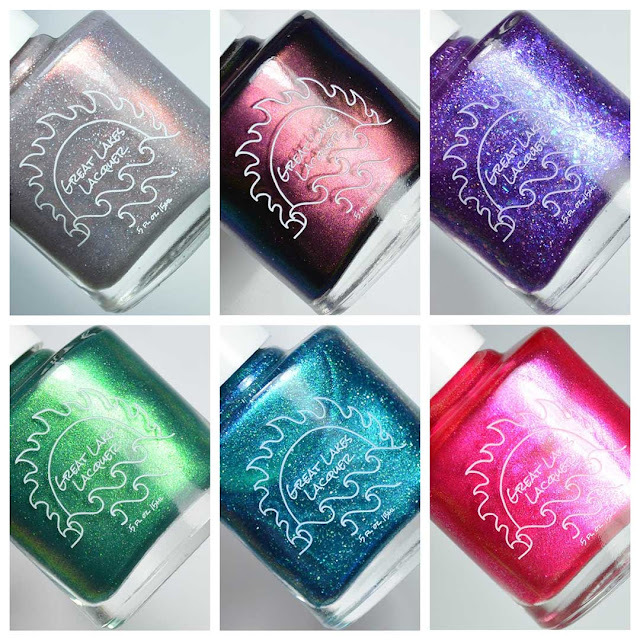 Today's post features the Great Lakes Lacquer Destination Dreaming Collection, a 24 hour Black Friday limited edition polish, and all sale/launch info for the day. It's a lot of reading but I promise it's worth it! Notes: Neutrals are my favorite, but even more so when they have special shimmer. 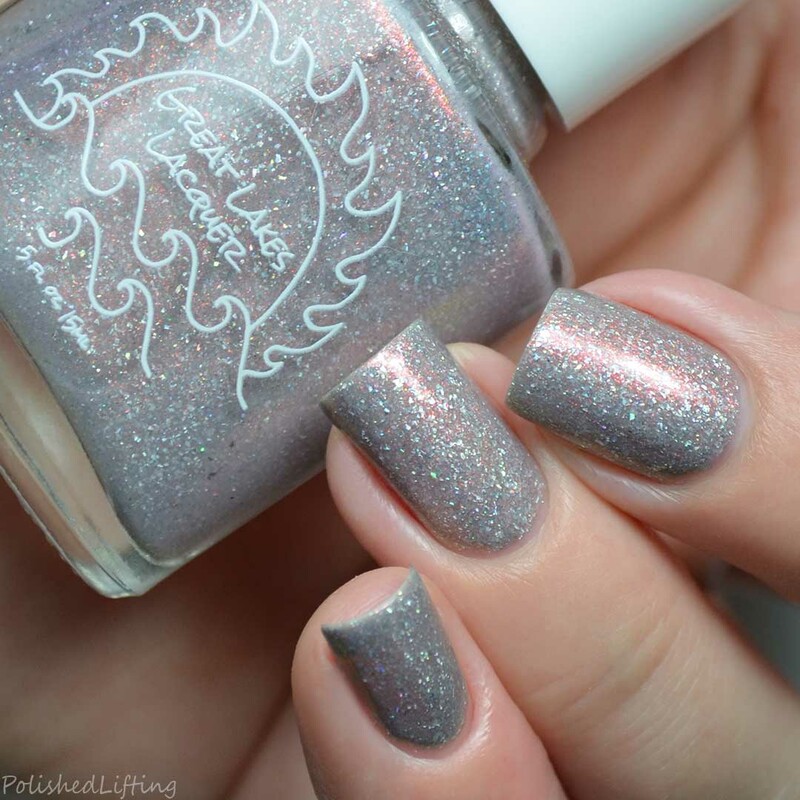 I absolutely adore the rainbow shimmer in Destination: Nepal. Notes: There's something just mysterious about Destination: Serengeti. I love the rich base paired with the shifting shimmer. It's a nice contrast at any angle! Notes: Destination: Hawaii has a nice, sharp transition from purple to fuchsia. If you look at the swatch photo above it's most prevalent in that image. Notes: Destination: Machu Picchu has more of a gold shimmer in bright light, but it transforms into more of a purple/red shimmer in low light. The final image above shows the low light version. Notes: Destination: Bali's shift is most dramatic in lighting that creates dark shadows. Under my photo lights it appears to glow, but under my gym lights (maybe daylight fluorescent bulbs?) the shift between aqua and sapphire puts on a real show. Notes: Destination: Hitsujiyama Park is a free gift with purchases over $50 made within the sale hours listed below. This cannot be purchased individually. Notes: Home Is Where The Heart Is will be available for a very limited 24 hour period. This pretty blue will not be restocked. 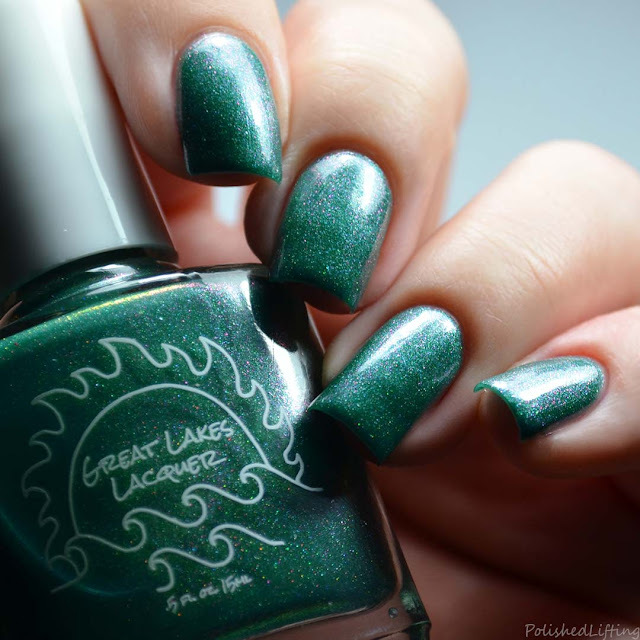 The Great Lakes Lacquer Destination Dreaming Collection and Home Is Where The Heart Is will be available on Thursday, November 22nd at 6pm eastern. The Destination Dreaming Collection will have a special launch pricing at $55 for the whole collection. 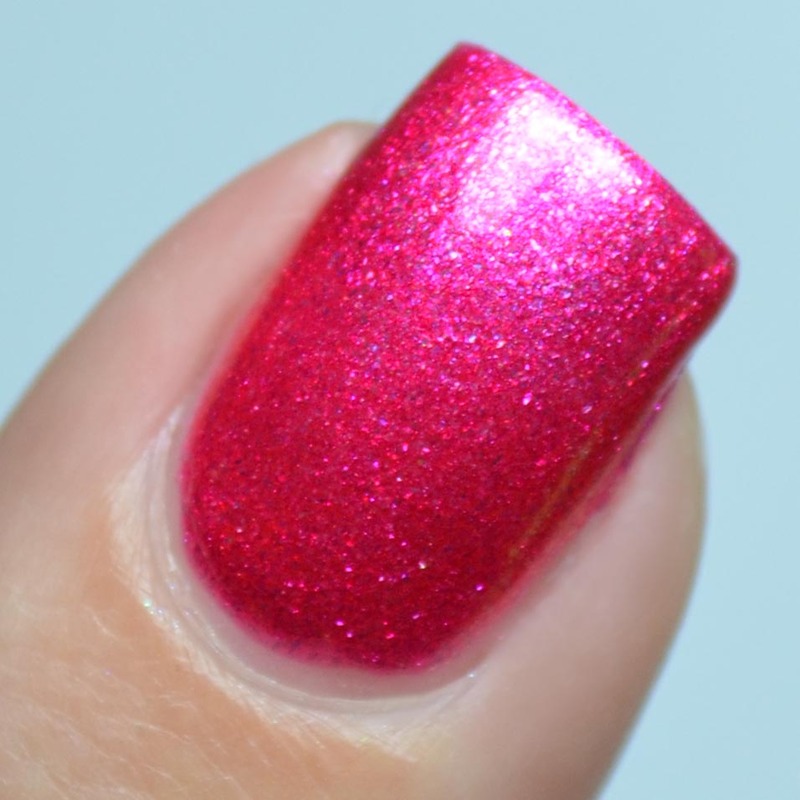 Home Is Where The Heart Is is a 24 hour LE polish that will only be available until Friday, November 23rd at 6pm eastern. 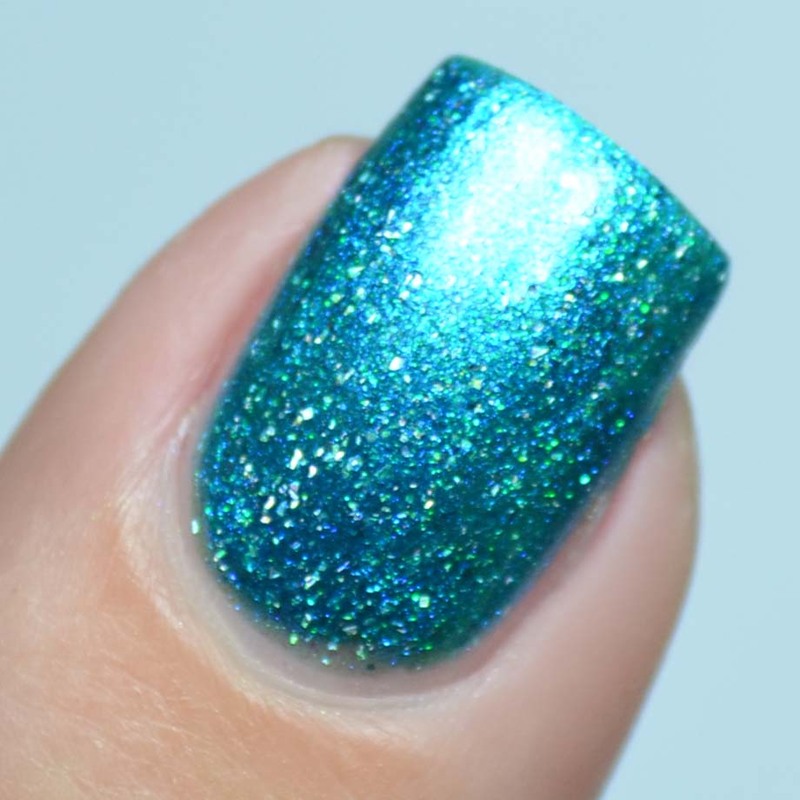 Destination: Hitsujiyama Park will be a free polish for orders over $50. The above offers are only good on orders placed between Thursday, November 22nd at 6pm eastern and Friday, November 23rd at 6pm eastern. 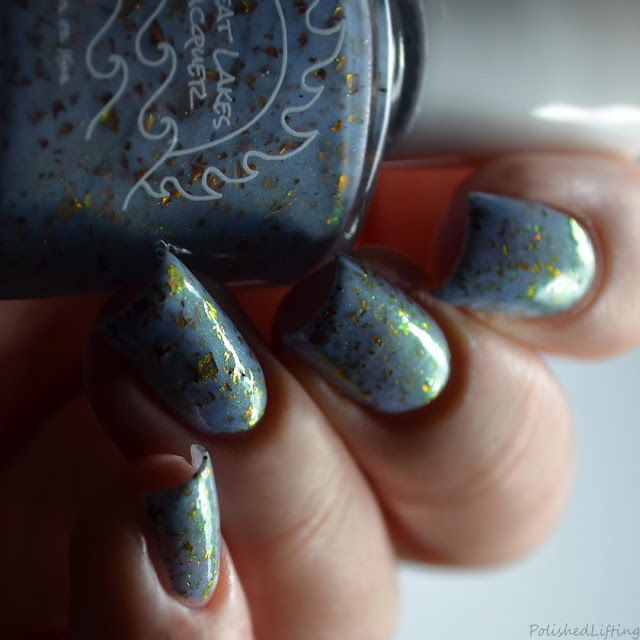 If you enjoyed this post you might like Great Lakes Lacquer There Is Also Life | Hella Handmade Creations November 2018 and Great Lakes Lacquer A Caged Bird Sings | Polish Pickup November 2018.